Flint has been selected as the general contractor for a lease-leaseback high school project by the Western Placer Unified School District. We are excited to be working with the District and HMC Architects on this important project. 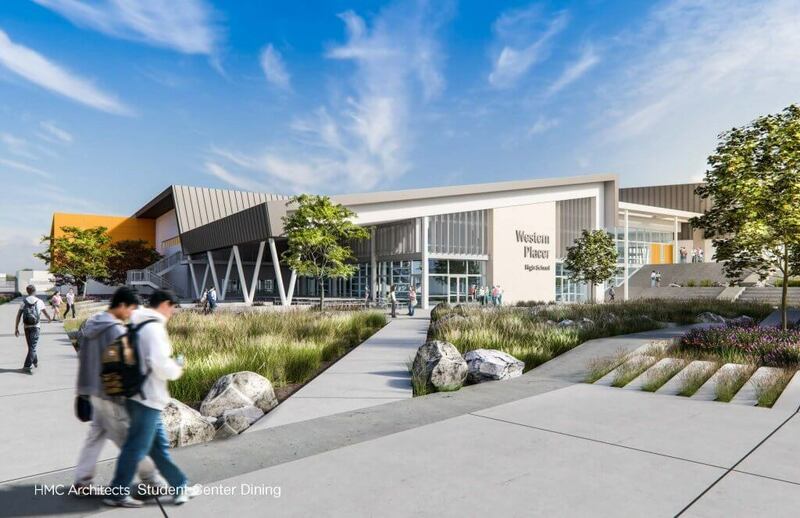 The new high school will be constructed on an approximately 55-acre site located at Twelve Bridges Drive and Fieldstone Drive in Lincoln, California. The project includes a 7,000 square-foot administration building, a 78,000 square-foot student center (including music and arts, media and performing arts, dining commons, and gymnasium with support facilities). Three modular buildings will be included as a part of the first phase of the project: two 2-story classroom buildings (22,200 square feet and 16,200 square feet) and an 11,700 square-foot one-story science and technology building. Also included will be an athletic stadium with bleachers and press-box, sports fields, parking, hardscape, landscape, and associated site work.